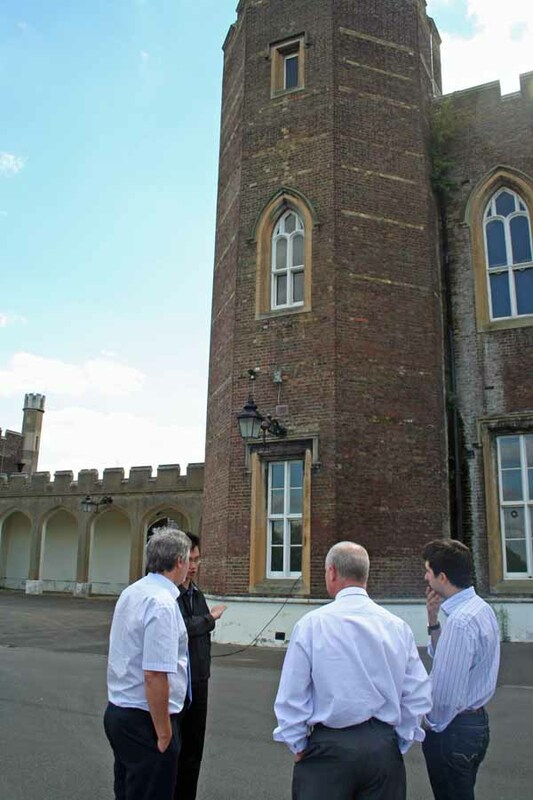 Clive recently visited the former Royal Military Academy site in Woolwich, following an invitation from the new owners, to discuss their plans for the site. The Durkan Group are currently developing a planning application for submission to the London Borough of Greenwich in October. Durkan are proposing that the majority of the site be converted to form a range of one, two, three and four bedroom units together with other community based facilities, whilst retaining the much loved Wyatt facade and the other valued listed buildings on the site. The Royal Military Academy is in the Greenwich & Woolwich constituency but borders Clive’s Eltham constituency and Clive welcomes the opportunity of monitoring developments on his constituents’ behalf.